When Mary, age 84, was hospitalized for a hip replacement, everything went well until a complication landed her in the intensive care unit (ICU) and she began behaving oddly. She thought she was in a hotel, reported that a cartoon character had died in the bed next to hers, struggled at night to escape nonexistent intruders, and complained that the staff was ignoring the rats infesting her room. After a psychiatric consult, Mary was given medication to calm her and help her sleep, and eventually she started acting more like her old self. "We stayed with her day and night, and the delirium cleared once she was back in a regular room. Now we can laugh about it, but she remembers little about those weeks," says her daughter-in-law. During illness, hospitalization, or recovery from surgery or stroke, many people experience delirium, a rapidly developing and severe confusion accompanied by altered consciousness and an inability to focus. It's the most common complication of hospitalization among people ages 65 and over: 20% of those admitted to hospitals, up to 60% of those who have certain surgeries, and almost 80% of those treated in ICUs develop delirium. When hospital delirium isn't recognized, it can hinder recovery. Prolonged delirium is associated with poor long-term outcomes (mental and physical) and a higher mortality rate. Fortunately, there are ways to avoid delirium or minimize its impact. Anything that interrupts normal brain function can cause delirium. Inflammation or toxic substances can interfere with brain function, for example, by disturbing the neurotransmitters that communicate between nerve cells. Though the causes of delirium are complex, one major pathway involves the neurotransmitter acetylcholine. If blood sugar levels fall too low or the brain doesn't receive enough oxygen, acetylcholine levels plummet. Many anticholinergic medications (drugs that reduce the effect of acetylcholine), including the antihistamine diphenhydramine (Benadryl) and incontinence medications oxybutynin (Ditropan) and tolterodine (Detrol), can trigger delirium as a side effect. Also, older people make less acetylcholine than the young, so they're at greater risk for delirium (especially those who already have dementia or another neurological disorder.) In vulnerable individuals, delirium can be induced by infection, insufficient food and drink, a trauma such as surgery or injury, uncontrolled pain, medications that most people tolerate well, or simply the unfamiliar surroundings of a hospital. Although people who have dementia are more likely to develop delirium when hospitalized, the two conditions are different. Delirium usually arises rapidly, fluctuates in severity, involves changes in consciousness and attention, and clears up within days or weeks. Dementia comes on slowly, is progressive and usually permanent, and doesn't alter consciousness or attention unless it's severe. We often think of people in a state of delirium as agitated, noisy, hallucinating, and possibly belligerent. This condition, called hyperactive delirium, occurs frequently during withdrawal from psychoactive drugs but occurs relatively rarely in people who (like Mary) have delirium related to illness or hospitalization. Far more common is hypoactive delirium, in which the patient may be equally disoriented but is withdrawn, drowsy, or difficult to wake. For example, a Vanderbilt University study found that all but two of 25 emergency room patients ages 65 and over who were diagnosed with hospital delirium (out of 303 surveyed) had the hypo active type. Some patients also fluctuate between the two states. Because people with hypoactive delirium aren't disruptive, their condition may go unnoticed unless physicians screen for it. In the Vanderbilt study, 19 of the 25 patients identified with a standard screening tool had not been diagnosed by emergency room physicians. Of the 16 out of 25 admitted to the hospital, only one was diagnosed by a hospital physician at the time of admission. Recognizing delirium is critical to a successful outcome for older patients. Research indicates that one month after hip replacement or cardiac surgery, patients who develop hospital delirium are twice as likely as those who don't to show a decline in their ability to perform normal activities of daily living. 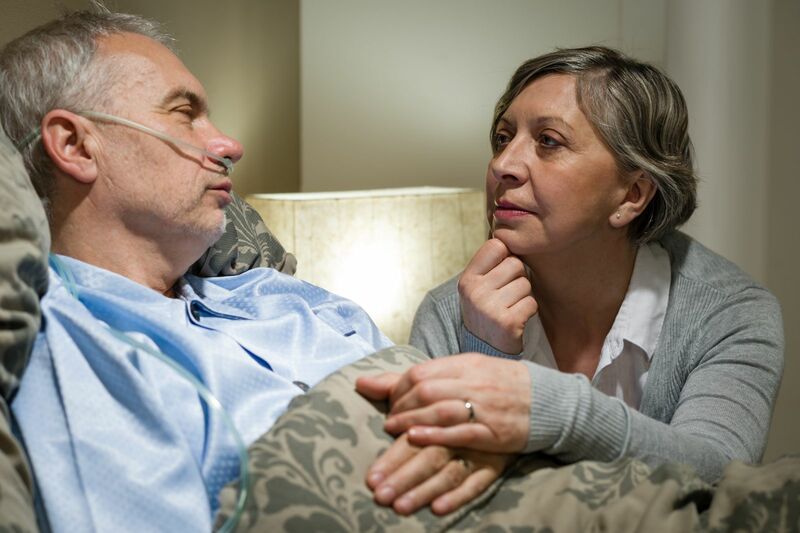 When patients with delirium are transferred from the hospital to a nursing facility for rehabilitation, whether their delirium clears has a profound impact on their functional recovery. A widely used screening tool is the Confusion Assessment Method. It prompts health professionals to look for several symptoms: a sudden change in mental status; difficulty focusing during conversation; rambling, disorganized, or illogical thoughts; altered consciousness (anything from hyperalert to unarousable); disorientation regarding time or place; impaired memory; seeing or hearing things that aren't there; increased motor activity (such as restlessness, picking at clothes, or tapping fingers) or decreased motor activity (such as staring into space or moving very slowly); and disturbed sleep (such as insomnia or daytime sleepiness). Delirium is diagnosed if the symptoms fluctuate or appear suddenly and involve inattention as well as altered consciousness or trouble thinking. At present, there's no blood test for delirium, but researchers at Harvard Medical School are looking for possible biomarkers. psychiatric consult to help distinguish delirium from dementia or depression and to assess pain control and sleep patterns. There are no drugs specifically for delirium. In fact, less medication is often better than more, since adverse reactions to drugs are a common cause of delirium. Still, medications may be needed: analgesics for pain control, antibiotics to treat infection, sleeping pills to re-establish a normal sleep-wake cycle, and antipsychotic medications to eliminate hallucinations or other frightening symptoms of hyperactive delirium. The hospital staff can help shorten delirium by talking to patients and reorienting them (reminding them where they are and the date and time). It's also important to get patients out of bed or provide other physical activity and to make it easier for them to sleep at night. Family members can help by being a familiar and reassuring presence and encouraging physical activity and social interaction. This intervention can benefit even intensive care patients on mechanical ventilation: the length of delirium was halved when their sedatives were adjusted to keep them awake during the day and able to participate in physical therapy. In about 40% of cases, delirium is preventable. At Beth Israel Deaconess Medical Center in Boston and other hospitals, prevention is coordinated by the Hospital Elder Life Program (HELP), designed by Harvard Medical School's Dr. Sharon Inouye and colleagues at Yale University School of Medicine. The program begins at admission to the hospital, with screening for delirium risk factors, including cognitive impairment, sleep deprivation, immobility, dehydration, and vision or hearing impairment. Nurses, specialists, and volunteers continue to address those risks throughout the patient's stay. In an early clinical trial, the HELP program reduced from 26% to 8% the proportion of patients whose mental status declined during hospitalization. More recently, the program's developers demonstrated that families can play an important role in various aspects of the program, especially by providing memory cues, helping to orient patients, stimulating them with conversation, and making sure glasses and hearing aids are available. An engaged and attentive family member can help prevent delirium and advocate for the patient so they receive optimal care. Family members are often the only ones who see a loved one through the entire journey from primary care to hospitalization to rehabilitation. Consult with a geriatric specialist. Not all surgeons are familiar with delirium. When an older person is considering hip replacement or other elective surgery or any procedure requiring anesthesia or sedation, advice from a geriatrician can facilitate planning for medication, pain control, post-operative mobility, and sleep support. Bring a full medication list to any new health professional. Many drugs that act on the brain can cause delirium, including narcotic painkillers, sedatives (particularly benzodiazepines), stimulants, sleeping pills, antidepressants, Parkinson's disease medications, and antipsychotics. Other medications that may cause delirium are corticosteroids, cimetidine, digoxin, and muscle relaxants. Besides nifedipine and tolterodine (mentioned above), anticholinergic drugs that can cause delirium include antihistamines and some drugs for digestive problems, allergies, and acute asthma attacks. Because there are so many potential culprits (some available over the counter) and because the effects of medications are sometimes addictive, an older person may risk delirium even if she or he is taking each drug at the recommended dose. Medications should be reported even if they haven't caused problems in the past, because they might interact with drugs given in the hospital. Make things familiar. Take a few family photos or comforting objects (such as a blanket, rosary, or favorite relaxation or soothing music tape) to the hospital. Calm conversations about current events or family activities can be reassuring. Stay close. Family members not only provide comfort, familiarity, and reassurance, they're also more likely than others to recognize when the patient isn't behaving normally or being treated appropriately. If possible, have someone there night and day while the patient is in a state of delirium. Insist on sensory aids. Eyeglasses, hearing aids, and dentures are often put away during a hospital stay, but that can leave the patient disoriented and less able to function. Speak up for their use. If you don't want to take an expensive hearing aid to the hospital, buy an inexpensive hearing amplifier at an electronics store. Promote activity. If possible, help your loved one get up and walk two or three times a day. If you can, talk to them in simple language or help them exercise their brains with conversation, crosswords, card games, or other pastimes. Be there for meals. Your companionship and assistance will help a patient eat and drink an adequate amount. Participate in discharge planning. Patients are sometimes sent home or to a nursing or rehabilitation facility while they are still delirious. A patient with delirium can't fully understand discharge instructions, so you'll need to be there to help — and to learn about signs that she or he needs to return to the hospital. After a transfer to another facility, make sure the nursing staff there understands your loved one's pre-hospitalization level of functioning so they won't assume that her or his current behavior is typical. Ask for a complete medication review: it might help to discontinue some drugs (such as sedatives) that were added during hospitalization.